Andrea Blanch: I want to know how it all started. Alexander Montague-Sparey: I started my career at Phillips. I was hired to start their exhibitions program in London which involved curating private sales exhibitions of photography, design and contemporary art with living artists and estates. AB: Like Phillips have in New York? AMS: Yes indeed. I went to Phillips and was there for just over two years and did exhibitions with Mario Testino, the Guy Bourdin Archive, Annie Leibovitz, and Tierney Gearon, among others. I then briefly went to work with Mario Testino but decided that the art world itself was where I really had my place. Christie’s then asked me to join their photography department as a specialist. I went to Christie’s and I evolved from being a specialist to being the head of the department, to being a director at the London flagship. I was there for just under five years. I was being approached by a lot of private collectors who wanted me to advise them privately, so I left to set up my own art advisory. As I was leaving, I was asked to run Photo Shanghai and took them on as a client. I had never been to China before but it seemed like a fascinating project. Shanghai was fast- becoming a leading art capital slightly out of nowhere. Christie’s had done a lot of successful work in Shanghai, so I knew there was huge potential there. It seemed like an exciting, vibrant opportunity, so I said yes to it. I have been working on it for three years now. A year into Shanghai I suggested that we should do something in San Francisco, which everyone thought was a bit crazy because obviously the Shanghai project was complicated and we had quite a lot on our plate already. But I wanted to create an interesting composition between China and America which no one had done yet within the art fair model with photography. San Francisco seemed like the most obvious place. New York is not oversaturated as a market for photography, but there’s a lot to offer here already. I just thought there was a lot happening in San Francisco, but there wasn’t a sizable platform of this kind yet for the medium. I started doing the intel’ on that two years ago, talking to everyone, working out how, or if, it would be possible. We came to the conclusion that it definitely would be, but it would have to be done at a very high level and in the right way… and now we’re doing it. That launches on January 26th. We’ve got some great galleries signed up which I’m excited about. AB: We need to talk further. AMS: We are really excited about the galleries we are working with - Danziger Gallery, Edwyn Houk, Robert Mann; some interesting galleries from Asia including Vanguard Gallery and M97 Gallery and of course, leading local ones too such as Casemore Kirkeby and Ratio 3, who are at the cutting-edge of the medium. Close to 40 in total. So nice and focused still. We’re trying to do something a little bit different; we’re trying to bridge that gap and make the fair very international. In Shanghai for example, we had 15 countries and 24 cities represented and we’re doing something similar in San Francisco. So it’ll be America, Asia, Europe and the Middle East. We’re trying to mix it up a bit. The focus would be contemporary photography with a few hand-picked vintage dealers selling very important works at museum level. We've got a section, Staged, that is dedicated to galleries and artists who’s works speaks as much to video and installation art, as it does to photography. I am doing a collaboration with PACE and Random International in this section for example, about the relationship between photography and light. It is an interesting conversation we’re trying to develop between photography and the other fine arts. I’m tired of seeing photography boxed in this very tight old-fashioned way. I want to tell a story that has maybe not been told before. We’re also creating a platform called Insights, which is an initiative I commissioned in Shanghai. It is basically a museum quality show that is very focused and is a new opportunity for collectors to engage with work in a different way within the art fair context. 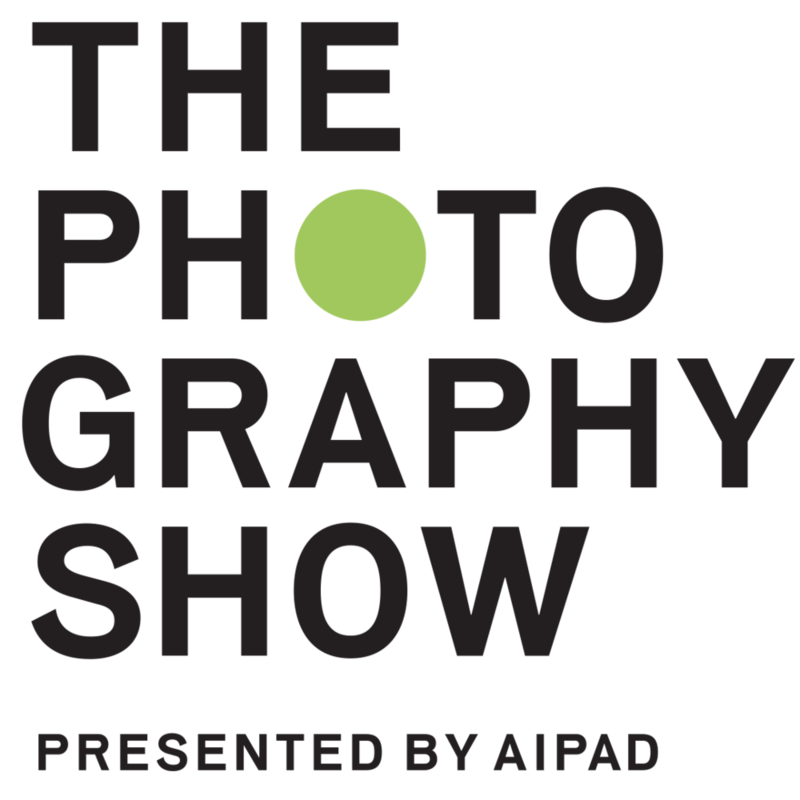 The theme this year is New Approaches to Photography since 2000. So it’s photographers who are using 19th century techniques for example to create new, cutting-edge works. This idea of photography has come full circle which I love. A lot of very strong West Coast photographers such as John Chiara and Matthew Brandt, who are synonymous with this movement will be represented. AB: Why San Francisco and not LA, for example? AMS: I think one of the reasons why Paris Photo LA was unsuccessful is because LA is a difficult city in which to do an art fair. The collectors in LA don’t necessarily tend to go to the art fairs to buy their art. They buy a lot of their art in New York, London, etc. or directly from the galleries the rest of the year. Art fairs are not a big part of the culture. I think LA is too spread out too. I think the fair was actually very beautiful; it was very well done, they had a lot of good galleries, it was a stunning setting, and everything was set in motion for it to work - but for the reasons above - it didn’t. I think San Francisco makes more sense, which is why we chose it over LA. At the museum and collector level, it is certainly much easier to be in SF where photography is concerned. AB: Well I never knew this about San Francisco. In fact, when I heard that you were going to have a fair there, I said, why would they choose San Francisco? I had no idea. But this is exciting. I definitely want to go there. I’m curious also, as my fight for a long time was that nobody thought that fashion photography was art. So I find it interesting that it was your focus and then you shifted to something else. Do you consider it that way now? AMS: Fashion photography is very much about the celebration of the female form & women and style, rather than about clothes. The Irving Penn market, as I’m sure you know, exploded in 2010. I think something has clicked in the last ten years with fashion photography. Gagosian Gallery represents the Avedon Foundation. Pace/MacGill’s biggest artist is arguably Irving Penn. Fashion photography is an important part of the market and if you look at the auction catalogues, there’s always a third, or at least a quarter, that is dedicated to fashion photography. AB: I agree, there are so many people who are just stuck with photography being two-dimensional or documentary. They are not educated. AMS: Photography is not a documentary art form, it’s not journalism, that is a different thing. It’s a fine art. The first ever photography auction was in 1970 at Sotheby’s, a lot of people don’t realize that. I think some people think that photography auctions started ten years ago. The big museums in America have been collecting photography seriously for 50 years and have incredibly important holdings of photography. It’s sort of unknown—this is what these fairs are all about, they're about educating people, about showing people that you can buy an amazing work of art for $3,000, whilst underlining that photography is safe, desirable, fascinating. AB: And remember the art. AMS: And remember, exactly. So we want to offer people enough options but only good options and we want to present it in a very clean, focused way. I went to Chicago for the fair last week. I think it’s a beautiful fair and there were some very fresh pieces there, being brought to the market for the first time. The problem is there’s 140 galleries. How can anyone go through it all? It’s impossible. AMS: There’s only so much you can do and I’m there for six hours, most people are there for 90 minutes. So it’s this idea that you can’t show too much at an art fair and you’ve got to work with hand-picked, fewer galleries showing two or three artists. You can’t take it all in - it’s a slightly new approach - and the word ‘curated’ is very important. I literally work with the galleries and I sit down with them and I look at their programs and think, this artist is really good and would work really well locally. I never let 2 galleries bring the same 2 artist, or it gets too boring, repetitive and predictable. The galleries actually thank me for this approach, they like to be guided. AMS: Which again is quite an unusual approach. Usually if you’re a good gallery and you want to do an art fair, you just come along and show whatever you want. What we’re trying to do is really to have an open dialogue with the galleries as to what they’re going to show and why they should show it and what they should show specifically in San Francisco. The market there is totally different as to what it is in New York, Paris or Shanghai. What I’ve been doing for the last two years is trying to work out what the market is and what people want to see and how we need to engage with a younger audience of collectors. We want to work with the established collectors but we also want to try and get people who have never collected art before to come to the fair and buy a piece of art for the first time in their lives. PHOTOFAIRS | San Francisco is January 27 - 29 at Fort Mason Festival Pavilion. For more information, visit the website. Musée readers receive a special ticket deal offer, 2 for 1! Purchase your tickets here.